Antiques, heirlooms, musical instruments, art – there are a number of goods that might come under the category of ‘fragile’ when it comes to arranging shipping. Anything that has sentimental or monetary value is always worth treating with additional care, and there are a number of things you should think about before choosing a shipping specialist. Antiques including chandeliers, chairs, sideboards, fine china, bookshelves and bookcases, vintage mirrors, photo-frames and dressers. Pianos and other highly-priced or bulky musical equipment such as vintage guitars, harps or cellos. String-instruments are particularly susceptible to damage or upset, and although many will come in specialist cases, this doesn’t completely protect them from the vibration and knocks of travel. Pool tables are another interesting example of fragile goods. Although they are bulky and heavyweight, they are susceptible to damage. 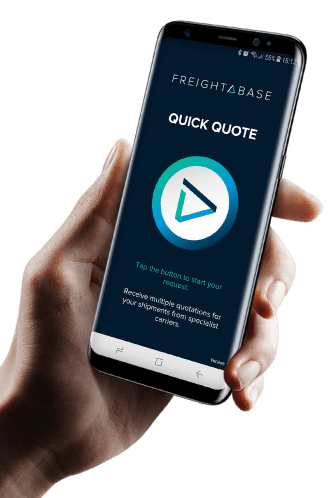 If you’re not sure if the item you want to move counts as a fragile delivery, feel free to send an enquiry through Freightabase. How do I pack my fragile goods? Packaging your goods ready for transit is one of the most important parts of this process. You don’t want to put effort into finding the perfect shipper just to realise your item is improperly packaged. If your item is coming directly from a manufacturer, you probably don’t need to worry. It’s in their best interests to get the item to you in one piece and without damage, so they will handle the packaging with expertise. However, if it’s a personal process, it may take a little research. A good place to start is with the courier you select for the job. Many shippers will happily provide advice on how to prepare your item for transit, so don’t be afraid to ask. If this isn’t an option for you, or you still need further advice, your local post-office or a quick internet search will detail the items you need. Always make sure that the destination and potential returns address are clearly visible and printed in permanent marker or similar. 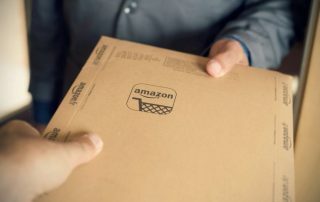 What is ‘white glove’ delivery? White glove movers are specialists in transporting delicate goods. They will generally offer additional services which many logistics providers do not. This might include taking apart larger pieces of furniture, and instead of merely providing a ‘drop’ service at the destination, will typically set up the item as it is intended. This might mean leaving a piano in the exact desired location in your house, or setting up your pool table after it has been dismantled. This may come at an additional cost, but the peace of mind alone is well worth the additional pennies and pounds. There are a number of factors which will effect this, so it’s best to speak to your service provider to find out what is and isn’t included, so you aren’t faced with additional costs at the last minute.